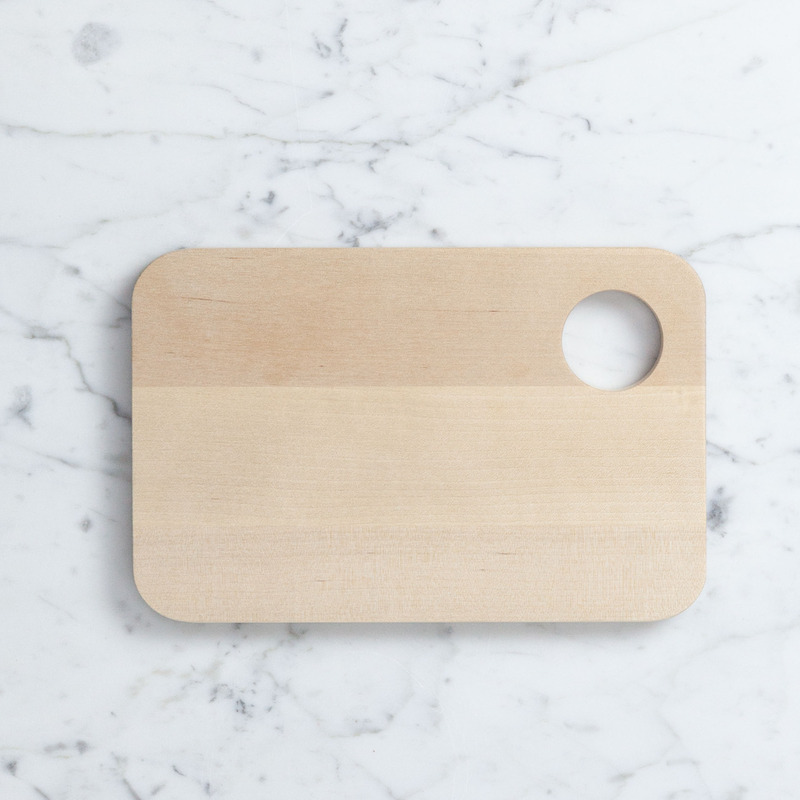 From first course charcuterie array to after-dinner cheese course, this little cutting board is a delight to have on hand. 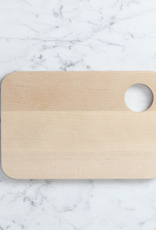 Made in Sweden from pretty, pale birch wood, this "sandwich board" is the perfect small size for slicing a tomato or processing garlic in the kitchen and prepping citrus or mint behind the bar. We find ourselves reaching for this more often than not when making dinner or whipping up a quick snack. The Swedes traditionally use the hole in the corner for keeping hard boiled eggs at hand (oh, Swedes! ), but we've found that the little opening is the perfect size and shape both for hanging it from our over-the-sink peg rack and for sweeping garlic skins and kale stems directly from the board into the compost. Note: This board's small stature also makes it the ideal companion for impromptu picnics. A ripe roadside peach, a fresh farmstead cheese, a landjäger, and, boom, you're practically in "A Moveable Feast". Take Care: With a bit of easy maintenance, this board can last for years. Simply oil the wood occasionally with your preferred wood conditioner (we swear by Old Mill's All Natural Beeswax and Mineral Oil Wood Polish, available right here at The Foundry), being sure to allow enough time for the wood to absorb the oil before its next use.